Dreamforce to You - Florida! It’s true. We just simply couldn’t do this without them. We’re bringing Salesforce.com users together for an entire day of content, best practice, learning what’s new and how to use it in your company. We’re custom building the agenda based on the attendee preferences, AND we’re not charging people to attend. So, without the funding the Sponsors provide, we literally wouldn’t be able to make this event happen. Most of these Sponsors are active with our User Groups already, and all of these Sponsors are dedicated to helping to promote the event so we can meet our Event Team goal of building up the core User Group community which benefits us all. Thank you from the Dreamforce to YOU – Florida Event Team to our 2012 Sponsors for supporting the Florida Salesforce.com Community! Well, I can’t tell you how much time I’ve been devoting to all the amazing twists and turns happening in the SCRM (see that? I’ve even adopted the ‘S’!) world since last we met on these virtual pages. Social is the new black. Got that? Another thing…Analytics that used to take me 6 months of hard work, mental gymnastics, and sleepless nights now happens in an instant. Prettier than I could have ever done it back in the day. I have to say things like ‘back in the day’ more and more. Mobile and Touch are just ‘how we do it’ now. Your Mom is on Facebook. Your Mom (it turns out) is likely an early Pinterest adopter. Business is struggling to keep up, to make sense of it, and to use their budget wisely. Shiny-Thing Syndrome is rampant. RAMPANT! It is one of my least favorite corporate maladies. Of course, ‘That’s Simple-itis‘ is worse, but I really want to stay on track so I’ll just move on. This post is meant to serve as my quick but exciting (to me) return to my blog as well as to let you know where I’ve been. Hi. I’ve been reading, thinking, talking, implementing, and researching in the middle of this incredible time. At least once a day I feel so excited that I either pick up the phone, compose a tweet, start a chat, or – if I have to – craft an email to let another colleague know how AWESOME it is to do what we do. They know it already, of course, and are very likely kind of getting sick of these interruptions but I just can’t help it. This is hands down the most fun I’ve ever had doing my job. That’s coming from a person (read: nerd) who lists her professional pursuit as a hobby lo these many years. At any rate, the customer is getting heard. The constituency and community is being recognized. Why? Because we created the equalizing tools that foster this channel. As a result, business needs to LISTEN (and that is just about the MOST exciting opportunity to amaze and delight there is). As I dive into some of the more effective ways to weave listening into traditional Sales, Service, and Community efforts, I just get more blown away. We are really starting to be able to connect with our customers and colleagues and fans and detractors. We’ve got lots to learn from each of these connections and can finally dive into the Big Data (another shiny thing? Not a chance.) with elegance and speed. So if this is interesting in the least, keep reading! I’ve got a few of my favorite sources below to get your motor running! Paul Greenberg on ZDNet. I’ve said it before but this guy just GETS it. In a big way. Kind of my Yoda, he is. Kelly Craft Blogs on Social CRM, Gadgetry, and getting it done. Very sharp lady. 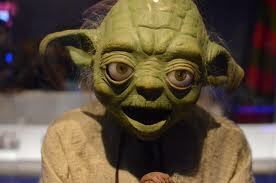 Christopher Barger MAY be the Yoda of Social Business planning?! Read his blog on Forbes, you should. Salesforce.com Blog They’re taking a ton of big guns’ ammo and making it available to you. Really pretty and very actionable. HubSpot puts a TON of content out for your consideration. I highly recommend their Webinars as well. Occupy Wall Street = Corporate Spring? Yesterday we lost a legend in our time, one of the visionaries truly responsible for pushing the development of the technology that facilitates these movements. 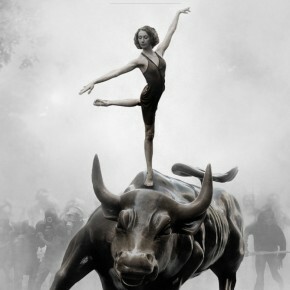 While watching the inimitable Steve Jobs’ commencement address of the 2005 Stanford University graduating class last night, it hit me: Occupy Wall Street has the potential to make change happen and its spine is Social. Source: Occupy Wall Street… is [a] leaderless resistance movement with people of many colors, genders and political persuasions. The one thing we all have in common is that We Are The 99% that will no longer tolerate the greed and corruption of the 1%. We are using the revolutionary Arab Spring tactic to achieve our ends and encourage the use of nonviolence to maximize the safety of all participants. Strangely, a fair bit of the social sentiment last night regarding Occupy Wall Street (#OccupyWallStreet) focused on losing a “member of the 1%” as a scene-stealer to the press coverage of the movement. Indeed, to say Steve Jobs was remarkably successful is a huge understatement. As a result (and rightly so), his passing garnered tremendous press. But the Occupy Wall Street movement is fueled by technology sprung from Steve Jobs’ imagination and the imagination of the people inspired by the possibility of “what’s next”. As my today begins, I redouble my dedication to being a virtuoso implementor of Social technology for business and non-profits, because people deserve the transparency. That’s all people. The 99% and the 1%. Let’s face it, for the 1% dead set on believing that Social is about “kids on Facebook”, the Corporate Spring may just be devastating. Every organization should be absolutely clamoring to understand what their advocates love about them and what their detractors don’t. And the impact of both to the health of the organization. Every organization should tap into their most valuable resource (the 99% of the workplace) if they expect to get the real skinny on what’s working and what isn’t. Social insights and collaboration tools not only give you the arena to have that conversation, but the dedication to building that arena tells employees: Your voice is important. Listening and acting on what you think, say, and feel about us helps us become better. That dedication, if backed by honesty, will help to retain your top talent. Even when the unemployment rates begin to fall. In the interim, there is something wonderful about rewarding good people for innovative ideas that drive success. It’s not about sides or percentages. It is about communicating and respect. Talent is rare, and expensive to acquire (nice, plain-english blog entry here from Jeff Kortes). Not listening to your talented team drives attrition rates up. Quite possibly, your Customer Service, Sales Efficiency, and product quality rates decline in parallel. Engaged employees, like engaged customers, like an engaged constituency are highly effective marketers of your brand / message. What does this have to do with Occupy Wall Street? Maybe Everything. That’s Social. And I like it. A Truly Anti-Social Nerd Comments on The Social Phenomenon. Hi. I’m the truly anti-social nerd referred to in this post’s headline. But it’s simply because I am a nerdy person with some real weirdness about me that renders me a bit socially awkward, not that I don’t like people. In fact, I do like people. Very much. I like people so much that for the past (muffled) years, I’ve been fascinated by and driven to protecting consumer data on behalf of all people everywhere. That sounds a bit overstated, but part of my raison d’être has been maintaining compliance and leading the enterprise definition of respect for the consumers housed within a highly enriched marketing database over 70 million distinct individuals strong. Individuals. People. Who I knew only by their transactions and artifacts. But who (because I am a nerd, remember) remained very real to me even in their data form. Truth be told, I’m creeped out by indiscriminate dissemination of personal information. After all, I’m a private person (I said in my blog). Further, I believe that you (the collective you) should have the right to be as private as you want to be. And that’s the key. As you want to be. So if you don’t want to be marketed to or sold to over the phone, you shouldn’t be. If you want to opt out of future marketing messages via email, so be it! You have that right and all organizations that want to sell or market to you (or anyone like you) have the responsibility to LISTEN. That’s why the past couple of events I’ve attended this month have been especially compelling to me. The tides are changing, Customer, and the current is running with YOU in mind. This year, the Salesforce.com Global Gathering – Dreamforce – surpassed all other conference attendance records in the enterprise software arena with over 45,000 on-premise attendees and 35,000 joining online for live keynote and event streaming. Additionally, the pre-event Community Conference was manned by Customer Advocates recognized by Salesforce as brand-evangelists and designated by Salesforce.com as MVPs. These MVPs (full disclosure: I was named an MVP earlier this year) were encouraged by Salesforce to use their “usual-suspect” social channels to promote the Community Conference sessions and events. As a result, each of the sessions in the Community Conference sold out. Via word of mouth brand-evangelists promotion by Salesforce.com customers. Using social tools available to most consumers. This Voice of the Customer amplification of brand loyalty and advocacy often resonates more honestly with a consumer than the slick marketing we’ve been fed our whole life. In other words, as a consumer you may be apt to view customer feedback – especially from someone you perceive to be “like you” – as more credible than the marketing or sales served up by the business. That the Community Conference was well attended largely through word of “mouth” across social channels is a tremendous illustration of the power of the consumer in today’s leveled playing fields. But using Dreamforce as an example, I’ll happily point out some other terrific examples. The Dreamforce event was branded an official welcome to the ‘Social Enterprise’. Keynote announcements focused heavily on how Salesforce.com and the industry at large would offer up powerful Social tools to augment and enrich the relationships between customer and company. However, it was what was going on at the event that really served to spotlight the power of Social Monitoring tools, and social as a viable channel in general. But before I go too far down that path I want to mention that in the Day I Keynote, Marc Benioff reminded all of us of the impact the social channel has had on the Arab Spring activities taking place in the Middle East and Northern Africa. Undeniably, the Voice of the Citizen has been raised and has acted as a catalyst of major change. Dreamforce speakers in multiple sessions stressed the following: have a genuine need identified and a genuine approach to content and context. Begin with a plan in hand prior to becoming “customer facing”. Want to Learn More? In the “A Roadmap for Social Transformation” session, Charlene Li (@charleneli ) with the Altimeter Group gave some terrific structural feedback and measures for the organization’s Social Maturity. Dr. Natalie Petouhoff’s series sponsored by Salesforce on Social in the Enterprise was echoed by her moderated session at Dreamforce. I’ve attached a link to the 3rd installation in the session which echoes the idea of Social woven into the organizational DNA can have direct and indirect positive impact across the entire company. She also gives some very simple details on related metrics to get your creativity revved up. Who’s Who in Social Media was a session dedicated to giving Social vendors 5 minutes to hock their wares, hopefully with some contextual value for the Marketer in the room. To learn about the presenters and their tips, tricks, and offerings, take a peek at the presentation slideshare. Of course, Radian6 is (rather) newly acquired by Salesforce.com and at the hub of Salesforce.com’s internal Social strategy. There were may shout-outs to Radian6 at #DF11, and some terrific sessions (which are slowly being posted to the YouTube Channel). For a really nice, concise presentation on guiding Social in your organization, take a peek at this pre-Dreamforce offering. Good stuff, here. So, you can probably tell that I had a fun, nerdy time at Dreamforce. It does my nerdy, anti-social heart good to see the light bulb coming on in the heads and hearts of traditional marketers that their methods probably have to change. Because you (the consumer) are empowered and have the ability to amplify your voice almost as effectively as they do. On the cheap. And they don’t like it, but they’re going to have to learn to deal with it or they will lose your (my) affection and my business. One week later, I was lucky enough to keep the incredible journey going when I attended this seminar in Palo Alto presented by BPT Partners. This was a deep dive presentation facilitated by most of the principals of the BPT Partner gang: Bruce Culbert, Paul Greenberg, and Jeff Tanner. The speakers were thought provoking and really tied to the idea that Social is a normal (and persistent) human behavior, the technology is what adds the newness. Where consumers are ahead of the curve is in their adoption and mastery of the toolset that aids their social behavior. Some terrific resources from this event (that all tie back to the simple truth that we really have to LISTEN to actually have the ability to ENGAGE) are below and I recommend getting rampant about following the musings on the folks I reference in this post if you’re into this stuff (and I bet you are if you’ve stuck with me this far). I highly recommend this 4th edition of CRM at the Speed of Light which encompasses Social. This book was written by Paul Greenberg (@pgreenbe) and has been used by this Nerd to underscore the need for C-level buy in to the C-Level directly! Never hurts to use a visual aid and walking in to the President’s office with this book tabbed and highlighted showed that I was ready to go, a real nerd about this stuff, and not the only one in the world as seriously into these ideas as I am. I have bought this book for employees, bosses, and newbies and I recommend it now to you. I was thrilled to meet and learn from Dr. Jeff Tanner (@tannerismontues) at the seminar. His take on Social, CRM, and Marketing is captured in his blog as are the links to his recent books. I haven’t read Dr. Tanner’s books, but found him to be thought provoking even as he underscored the “Listen first” message. He shared a fabulous video contrasting B2B Marketing fundamentals over time that is tremendous. Watch the video here. I literally got goosebumps it so perfectly illustrates the leveled playing field. Like snarky intelligence? With a dash of genius and threaded all the way through with make-sense goodness? I do! So it is for this reason that I note Esteban Kolsky (@ekolsky)as a terrific source of industry news, viewpoint, and value. If you’re a data-driven type like me, Mr. Kolsky is a great fit in that he never strays far from the path of if you’re not measuring it, it ain’t happening. So, enough is enough! This is what I’ve been immersing myself in and pondering on for (kind of a lot of) years now. I may not be the biggest Social butterfly at the (in real life) party, but I’m rooting for the consumer all the way as you wield your power in the Social arena. I’ve got your back, and am aiming soundly at making your interactions with my clients better, more meaningful in the NOW and something that they can use to really understand how to interact BETTER with you (as defined by YOU) in the future. Then what I want you to do is to be so impressed with their genuine concern for your preferences and their dedication to being AWESOME in your eyes that you trumpet it from the highest tweet cloud, the most traveled Facebook page, and your personal blog. Your glowing recommendation is a proven better tool to create new customers than their traditional marketing efforts. And it’s cheaper, too. I took this shot from the top of Shinjuku Station one sweltering Tokyo night in July, 2008. I was in Japan delivering a Salesforce.com implementation where I worked 12 hour days and then wandered the city aimlessly at night. CRMjen · Building strong process for fine folks!